The Skirted Roundtable: Mary Douglas Drysdale Comes To Visit! Mary Douglas Drysdale Comes To Visit! 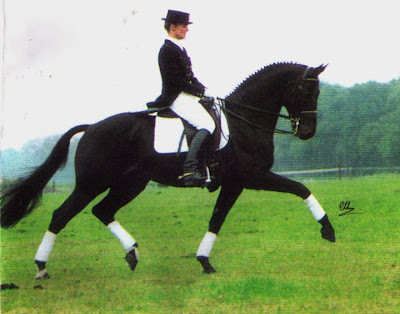 Interior Designer Mary Douglas Drysdale on her favorite steed. OK - how gorgeous is this picture? I love how she is perfectly coordinated with her horse! Someone should paint this! This week, we are thrilled to welcome the very elegant Mary Douglas Drysdale to the Skirted Roundtable. Drysdale was a total surprise - I think we expected another very competent interior designer, instead we got a fluent French speaking, highly intelligent, strong, open, and very talkative (and laughing!) artist at the top of her field. We thought she might be shy, instead we talked for over 1 1/2 hours - how Linda edited it down to just an hour is a mystery. As you well know, Drysdale is one of most popular designers in the U.S. - she has been on over 60, yes - SIXTY, magazine covers during her career! She's been featured in more design books than you can count. Her CV is amazing, it goes on and on and on, page after page after page. She is just that accomplished. 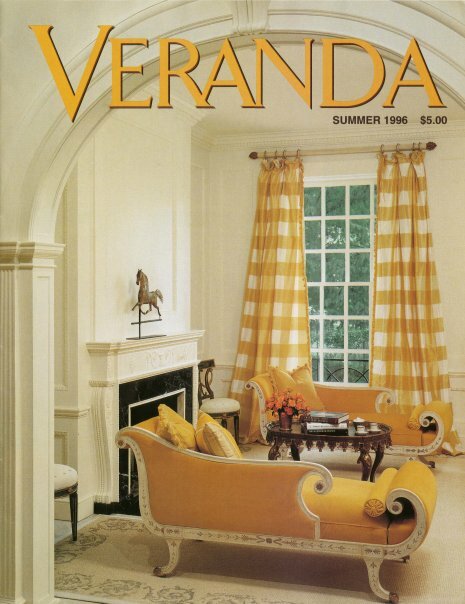 The 1996 Veranda cover that launched a national trend for clean white with bright yellow interiors. Who could ever forget those luscious curtains? In the 90s, Drysdale was well known for her all white with bright yellow interiors. For a while it seemed that everyone wanted that color scheme from Drysdale. Today, she still enjoys working with clear whites - with and without bright accent colors. She just completed a huge project which will be featured in Veranda in the next few months. It's hard to fathom, but this job was so large and involved, she employed over 200 people a day to work on it. Yet, she only has 4 people on her staff. Another very famous book cover from Drysdale's white with yellow period. Mary Douglas Drysdale was a true delight, sharing with us stories of her young adult life spent in Paris. The three of us hung on her every word with baited breath. She's working on her own design book right now, so look for that in the future. Thanks Mary for stopping by - it was an honor! And a special thank you to Ronda Carman of All The Best for the introduction! 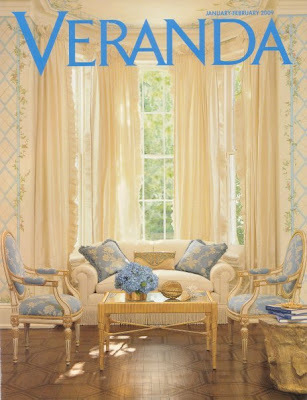 Drysdale's latest Veranda cover - soft creams and blues. Drysdale is a true student of architecture - she employs classic elements in most of her interiors. This recently designed living room is done in soft ivories - beautiful! As always, thank you so much for your continued support and comments. Next week, noted design author Diane Dorrans Saeks will be visiting! Mary is the BEST! I am so happy that she was a guest on the SRT! I have always loved her! 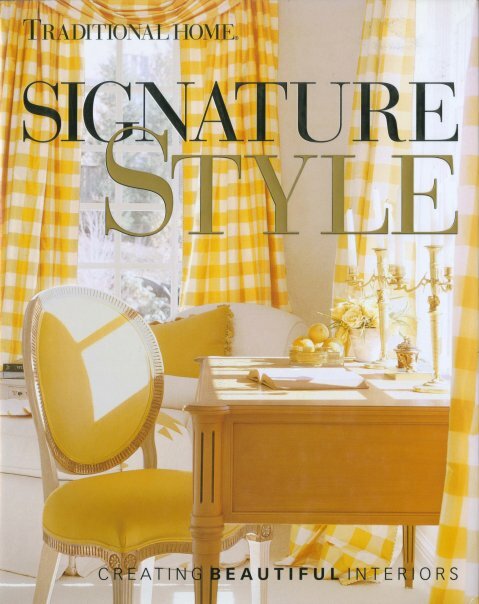 I fell in love several years ago with the yellow and white check Signature Style cover and painted my living room in glazes of sunny yellow. It made even the dreariest day bright! Love this interview! I have the book Signature Style" and it was so wonderful to hear the voice of the designer whose room is featured on the cover of one of my favorite books. As designers we have to learn how to stretch and at times we grow into that stretch and stay "out there" . Mary's traditional architectural background combined with a clean and sophisticated furnishings layout as her standard are timeless, classic and strong. Since the early 90s, I have followed Mary's work that includes saving numerous magazines and books featuring her spaces and homes she has designed. She continues to inspire me and I adore her friendly demeanor. It is refreshing to hear that one of her goals is to help make a home reflect the taste of the client more so than the designer. I'm eager to see most of Mary's work in the book she is currently working on. She is the epitome of architecture and interior design. Your podcast was so enjoyable and helped make my flight home today a delightful one. I just posted a comment on Joni's site about my favorite project ever by MDD and finally remembered the name -- it was Annie Gawlak's house in Rock Creek Park. That house took my breath away -- absolutely fantastic! What an absolute privilege to hear this interview! Mary is amazing . . . Signature Style has always been one of my favorite books, in part because of its stunning cover. Of all the designers you've interviewed, I'd most want to hire (if I could!) Mary, as her respect for her clients sounds tremendous. And, of course, her rooms are stunning. Once more, thanks so much to Mary Douglas Drysdale and to the skirted ones. This has to be one of the best interviews given on the SRT. Ms. Drysdale is a wonderful talent and hearing her approach and philosophy on design was quite interesting. I've had so many of her images in my design file for years - it was excellent to "meet the master". I loved the quote about "reigning in color like a horse...." and jotted that on my kitchen chalk board to remember! What beautiful photos you have on your blog! I am an Antiquarian book dealer in Australia and just love books. I am a big fan of Jane Pollack. So I am very glad I stumbled upon your blog about her.